Boost your system performance by enhancing the capacity, speed and security of your data storage. This two-drive M.2 to SATA adapter lets you install two M.2 solid-state drives in a single 2.5” drive bay and configure a powerful RAID array. The dual M.2 to SATA adapter supports multiple RAID modes (RAID 0, 1, BIG) helping you to achieve greater SSD capacity or data redundancy, depending on your selected RAID mode. The SSD adapter also supports non-RAID operation (JBOD) when paired with a port-multiplying SATA controller, so both drives can be used independent of one another. 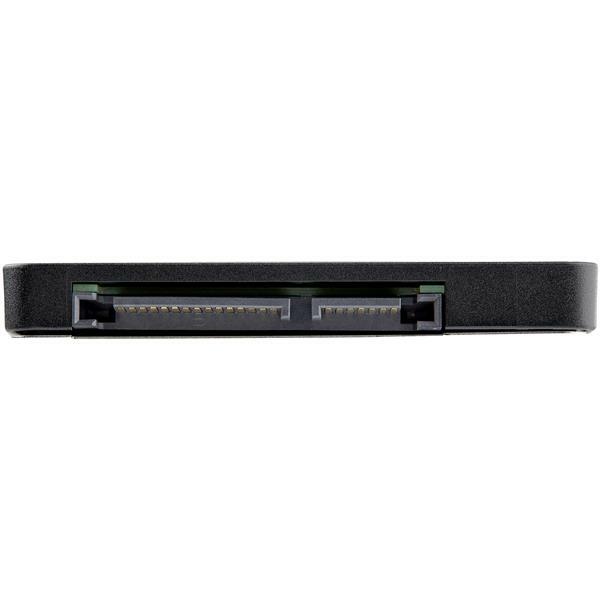 The dual SSD adapter lets you utilize the full potential of your SATA III controller. Using M.2 SSDs in place of a platter drive reduces your data transfer bottlenecks and gives you file transfer speeds of up to 6 Gbps. M.2 SSDs also save you money by reducing your power consumption over regular platter drives. 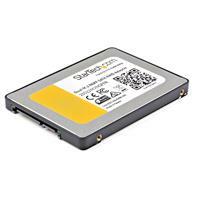 The M.2 to SATA adapter features an enclosed housing that helps protect your NGFF (Next Generation Form Factor) SSD. The added protection gives you peace of mind when you are using your M.2 drives in applications that require an added level of durability such as hot-swap drive bays, or external SATA docking stations. 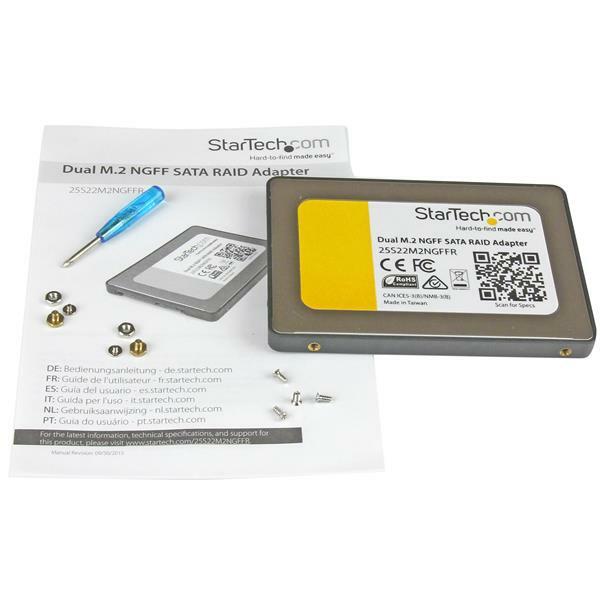 The 25S22M2NGFFR is backed by a StarTech.com 2-year warranty and free lifetime technical support.